The market offers a variety of adhesives for a wide range of application conditions and material compounds. The application range ranges from simple standard adhesives to power adhesives in the one or two-component range. Exactly in the group of power adhesives positioned DryFluid CA booster. The powder combines the advantages of the superglue with the system advantages of a high-performance plastic and combines it with a high-power adhesive, which has never been known before. Dissatisfaction about existing solutions, especially for power adhesives, was the driving force behind the development of the new CA booster, the 2K system powder for seconds adhesives. CA-Booster is a high-end power amplifier powder specially adapted for seconds glue. It allows mixing to a high performance adhesive having a consistency such as e.g. of 2-component resins. The combination of second adhesive with power powder results in a considerably broadened application spectrum with simultaneous performance enhancement. The ingredients are fine-tuned high-performance polymers with glass fiber bridges that ensure extreme stability. CA booster is therefore a glass fiber reinforced system plastic in powder form, which develops an enormous adhesive force in connection with CA products. The viscosity of the second adhesive determines the processing time as well as the time of the curing. Bonding with CA boosters is characterized by extreme adhesion, impact strength and tensile strength. It ensures high-strength connections also with gap gauges, adhesive seams and material defects. Compared to the two-component mixers offered on the market, which must be mixed very precisely, the CA Booster does not have to adhere to a precise mixing ratio. This greatly facilitates application and leaves considerable room for the determination of processing time and consistency. CA booster bonds show extreme adhesion, impact strength and tensile strength. The CA booster powder proves its qualities particularly in the case of gap gauges, adhesive seams and material defects in comparison to the superglue adhesives which are very suitable for small areal glues. Add only a few seconds of glue into a mixing vessel and mix with the powder in approximately equal amounts. Already after a few minutes a gelling process begins. Now apply the adhesive gel quickly to the clean and grease-free adhesive site. The viscosity of the second adhesive determines the processing time.  The processing time is approx. 5 minutes for thin liquid adhesives. When using medium- and high-viscosity superglues, these times are extended individually. To accelerate the curing, a commercially available activator spray can be used. Workable after approx. 3-4 hours, the final strength is reached after 24 hours. 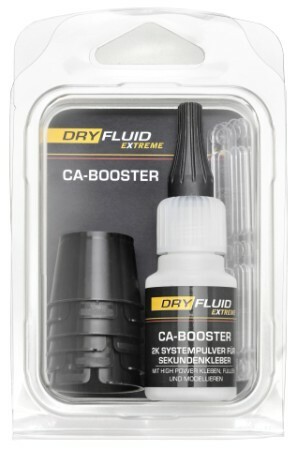 DryFluid CA Booster - Make more of your superglue!